Do you want more people to notice you on Instagram? Have you looked at how other brands are increasing their Instagram visibility? 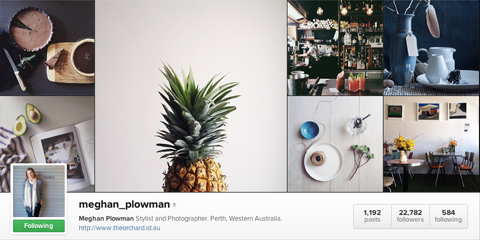 With the right pictures and tactics, you can create a stronger Instagram presence. In this article you’ll discover five ways you can build visibility on Instagram. Get people to notice you on Instagram. The big deal about Instagram is that it gets more engagement than Facebook or Twitter. Forrester studied 2,500 brand posts on Facebook, Twitter and Instagram and found that Instagram posts had 58 times more engagement per follower than Facebook and 120 times more engagement per follower than Twitter. Pictures draw people in like nothing else. Below I tell you about five ways you can use Instagram to capitalize on that to capture more attention for your brand, and give examples of each. If you want to get people excited about your brand on Instagram, give them the spotlight. People love to be recognized and when you showcase users in your stream, you can be sure they’re telling their friends about it—and about you. GoPro’s brand is centered on adventure, and their Instagram account has some of the best user-generated content in the world. Whether it’s surfing, rock-climbing, diving or off-road driving, GoPro’s customers and fans love to show off how they’re using their GoPro cameras. 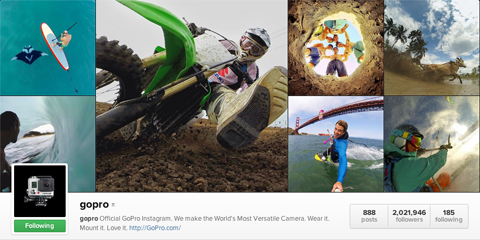 GoPro users contributed almost every image on GoPro’s Instagram account. These shared photos are great for GoPro because they show the brand’s energy and get people excited about having their own adventures and using a GoPro camera to record and share those experiences. Regardless of the social media platform you’re working with, it’s important to have a consistent presence. Your online personality—logo, voice and even emotion—should be the same no matter where your fans find you. That’s pretty easy to do on Facebook, Twitter and Google+, but when it comes to an entirely visual channel like Instagram, how can you do it? You want to be sure people can easily find and recognize you, so I suggest you use your logo as your Instagram profile picture and your company’s full title as your username. The pictures you share should reflect your online voice and even the emotion your brand elicits (like the spirit of adventure associated with GoPro). Watermarks carry your brand’s presence across platforms. Another way to incorporate your logo is to create a watermark you can use on every picture you share. 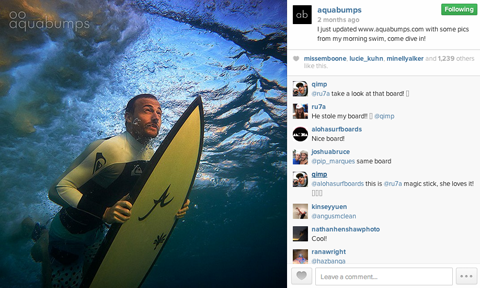 In the example above, aquabumps uses a watermark to reinforce their brand (and help protect their photos). To keep things simple, if you’re designing your own images, consider creating a template that includes your logo’s font and consistent color palettes. Hashtags are pretty much a staple of social media, and if you look at just about any Instagram feed, you’ll see that hashtags are big here too. As on other platforms, Instagram hashtags serve to promote your brand and products, help you keep track of mentions and connect with people in particular communities. If you’re using a brand-specific hashtag in other places (like Twitter), bring it over to Instagram and encourage your followers to use it when they upload a picture of them using your product. If you want to get in front of even more people, take advantage of existing popular hashtags. Find the ones that are most relevant to your brand or product and use them as needed. 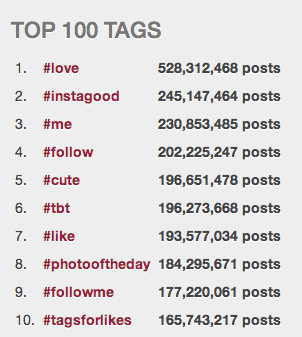 Webstagram offers an up-to-date list of the top hashtags on Instagram. Use popular hashtags to get noticed. Instagram suggests being specific and relevant, and observing trends when you’re choosing hashtags. You can find handy case studies of how other brands have built their profiles on the Instagram for Business blog. What is the one thing your company does better than anything else? How can you show that talent in a picture? The picture doesn’t have to be flashy or market-y, it only has to be interesting to your audience. Photographer and stylist Meghan Plowman knows her community and what they respond to. Her clean images of food, apparel and interiors are eye-candy for anyone who loves beautifully styled lifestyle photos. Meghan’s images are not at all promotional, but she’s done a brilliant job of branding herself as an experienced and talented stylist—simply by highlighting her talent. 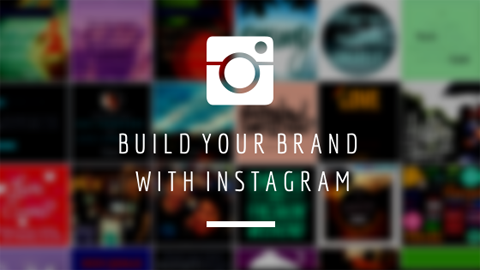 Showing off your talents is an effective way of building your brand on Instagram. People may follow you on Instagram because they like your company or photos, but they’ll stick around and tell others about you if you wow them. As great as Instagram is, it may not be the best primary marketing tool for you. It has its place, yes, but what if the majority of your success is on a different social platform? Obviously, you’re not going to quit doing what’s working and focus your efforts elsewhere. But what you can do is integrate your marketing efforts across social platforms. By cross-promoting your accounts, you can use your primary social channels to encourage new Instagram traffic. Alternatively, you can tell your Instagram followers to check out your other profiles. Australian group Bondi Harvest hosts a weekly cooking show featuring local produce. Their main social channel is YouTube, but they’ve found Instagram valuable as well. On Instagram, the Bondi Harvest team posts beautiful photos of their cooking, as well as snaps from around the famous Bondi Beach. In their Instagram photo captions, they drum up interest for and direct their followers to YouTube for additional information and ideas. Use all of your social profiles in concert to drive more traffic to each one. Using your different social profiles to support each other reminds viewers that you offer additional content and value across the web. 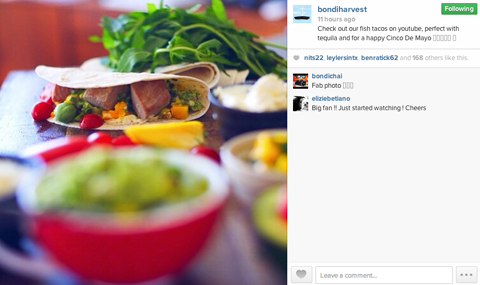 With higher engagement than other social networks, Instagram offers huge potential to brands. It’s easy to create your own great visual content and use it to strengthen your community relationships. By asking your followers to contribute their own pictures, using hashtags to both listen and reach, highlighting your talents and integrating your social channels, it won’t be long before you’re building a more human relationship with your fans that leads to a stronger Instagram presence. What do you think? Who are your favorite brands on Instagram? Have you tried any of the ideas in this post? Let us know! Share your experience and advice below. Zach is Head of Communications for Canva, which makes graphic design amazingly simple. He writes about social media and has achieved coverage on Mashable, TechCrunch, NBC and The Next Web.